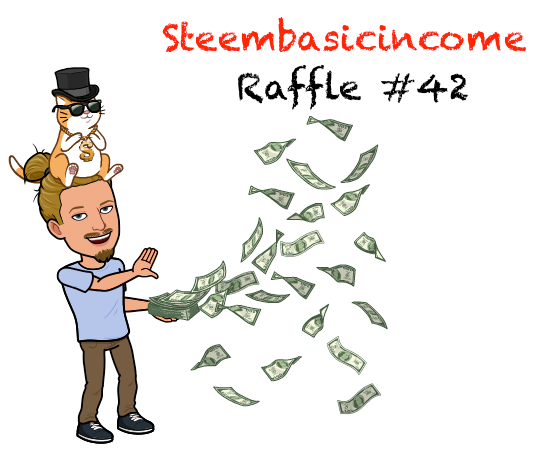 Congratulations to once more @tonygreene113 for being our last lucky raffle winner: Steem Basic Income 48h Raffle #41. Keep resteeming and inviting your friends! Due to lack of liquid funds I need to cap this at 1 share per raffle for the next raffles. In case you do not know about @steembasicincome already make sure to read Their Complete Overview Post. Also make sure to check out my roommates new project: @lifetimebot - a subscription & share based upvote-bot. It just went live and there are only 11 shares left for purchase. Definitely worth checking out. I'm in for the prize! Maybe this time I will have more luck. upvoted and resteemed. Another try, another chance, fingers crossed. My eye is on the prize. If it turns out it is not me who wins please return my eye.